Almost two-thirds of LabourList readers, in their survey out this weekend, think Labour’s Brexit policy over the past year has been Tory-lite, with insufficient differentiation from the government’s. 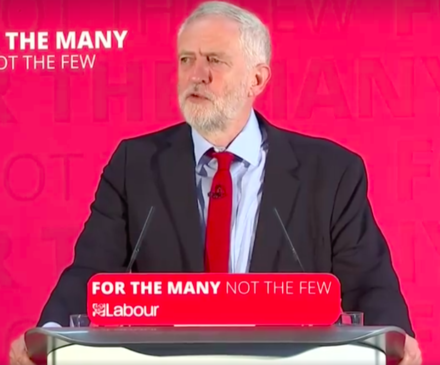 Labour rode both horses – ably – in the 2017 general election but now it is the repository of hope for many young people, some voting for the first time, who want Labour to wrestle back their future from Theresa May’s disastrous Brexit “at any costs”. A future outside the single market is not just severing many opportunities for these young people to study, work, and travel; it says a lot about Britain. Being in the world’s most developed multi-national social market does not just open Britain to the world, it is the best retort to the race to the bottom pressure that faces all capitalist countries. And young people know that. Rupa Huq and Roger Liddle make this point strongly in the new issue of Progress magazine – arriving with subscribers in the coming days. They, rightly, argue that being in the single market is about “morals, not money”. But it is the agency it gives Britain to be a nation, in a continent, of standards. When nations act together they are not just in charge of the decisions they make, but their consequences too. Europe has “equally high” standard for workers, consumers and the environment because – by the very nature that they were decided together – nations know their nearest neighbour and likely competitor is not going to undercut them. Britain has more sovereignty, not less, because it pools it power with others. We might not always talk about the single market and customs unions in these values terms but the merits of the single market are well known to progressives. We wanted to study whether single market membership is really an option, not whether it is desirable. It is available to Britain, and it is all in parliament’s gift. In fact it is in Jeremy Corbyn’s. That is why Progress chair Alison McGovern and former shadow health secretary Heidi Alexander have launched the Labour campaign for the single market. While the Labour leadership’s new attitude towards the single market and customs union during the Brexit transition period is welcome, we need to put more pressure on to ensure that that position is built on, rather than watered down. The only way we can keep Britain in the single market is if Labour MPs lead the way. Former government chief whip Hilary Armstrong, who knows better than most the practicalities of parliamentary votes, believes it is possible but “far from easy”. It will require a “more subtle approach to politics”, something “beyond the normal noise of political parties”. Those who wanted to support Chuka Umunna’s amendment to the Queen’s speech in July will need to be “let off the leash” from here on in, she argues. “There is a balance to be struck”, argues our editorial. “If Corbyn puts the Labour frontbench and whole party behind keeping the UK in the single market and customs union it could scare off much-needed Tory MPs. If he continues to whip against there will not be enough available votes in parliament to win the position.” This will test the limits of Corbyn’s new politics but put beyond doubt that he is really committed to Westminster doing things differently. Labour’s manifesto fix will not hold for much longer. The latest shift recognises this, but still leaves the dangerous possibility of a hard Brexit after a transition period. We still need to go further. It is time Corbyn listened to his members.